From the heartless people who brought you Up comes this Marvel-inspired Disney superhero movie, Big Hero 6, about a huggable robot, a teenaged robotics genius experiencing and moving past his grief, nerds and loving science; co-directed by Don Hall and Chris Williams. On a scale of one to 10 how much did this movie hurt you in the feels? Call it an origin story if you will, being equal parts a love letter to Marvel and Japanese anime while remaining distinctly Disney at its core, the film manages to strike a balance between heartfelt Disney goodness in the form of the cuddliest robot ever helping a kid move past a tragic loss. That is hilarious- with enough line-straddling humour to make an adult laugh knowingly while filled with slapstick to keep the ‘target audience’ much entertained- with enough emotional upheaval to take an unsuspecting viewer unawares while visually stunning them with the ace animation. I mean, fist bump for for that animation. Hiro Hamada (Ryan Potter) is a 14-year-old robotics genius who lives in the futuristic city of San Fransokyo with his Aunt Cass (Maya Rudolph) and older brother Tadashi (Daniel Henney) and spends his time taking part in back-alley robot fights- which isn’t strictly illegal unless you bet on them. 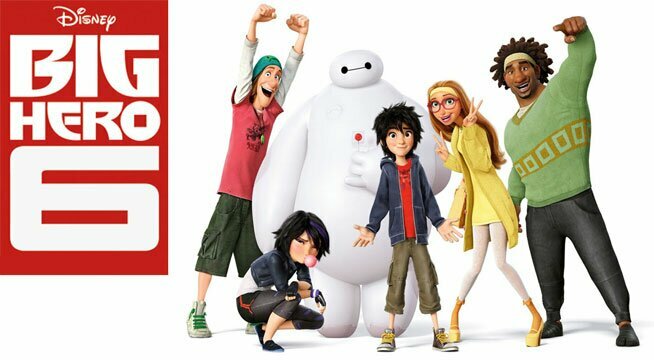 Older bro Tadashi, worried that Hiro’s wasting his potential, takes him to the robotics lab at his ‘Nerd School’ university, where Hiro meets Tadashi’s friends, GoGo (Jamie Chung), Wasabi (Damon Wayans, Jr.), Honey Lemon (Génesis Rodríguez), and Fred (TJ Miller), along with Baymax (Scott (Adsit), a personal healthcare robot created by Tadashi. Convinced that he now has to attend the Nerd School, Hiro decides to apply and presents his project – microbots, swarms of tiny robots that can link together through electromagnetism to form various shapes and perform tasks cooperatively – in order to gain admission. Professor Callaghan (James Cromwell), head of the school’s robotics program, is thoroughly impressed and offers him a place. When a fire breaks out at the university, Tadashi rushes in to rescue Callaghan, but the building explodes along with our hearts. As a result of losing his brother, Hiro understandably secludes himself from the others. It’s only with the help of one healthcare robot, Baymax, and a ragtag team of science nerds, not to mention the evil villain that steals Hiro’s invention, that Hiro is pulled out his grief-induced funk. The story wouldn’t be complete without the villain, and yes I felt like Fred just then. One that you ‘don’t see coming’ but sorta totally do because TWIST! You don’t mind that Amon is actually Noatak- whoops wrong animation, my bad. You don’t mind that the twist doesn’t come as too much of a surprise and the whole jab at ‘superhero revenge plot’ cliches- via Fred’s fanboying- is life. The film is uplifting yet bittersweet, which is indicative of real life. Things happen and you have to move past them and not allow them to change who you are for the worst, you are only in control of how you handle yourself in certain situations and your actions define who you are. It is this sort of aura about the movie that makes it so sick. Which, of course, is just an expression. FOUR out of FIVE Silent LOLs because one of the LOLs were creys. A bucket’s worth. Also no snaps for the audience who all gapped it before the end of the credits- amateurs every single one of them. You never leave a Marvel-related film before the end of the credits, ever. – Where’s Stan Lee… oh there he is. That four-day underpants trick is beyond nasty. – Tadashi’s hot- don’t act like you didn’t think so too. 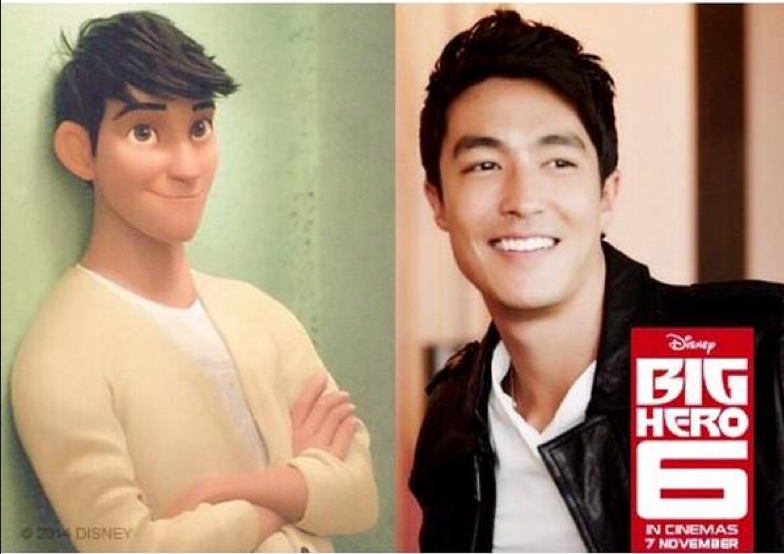 But also, Daniel Henney- giggity. – You wanna dance, masked man?